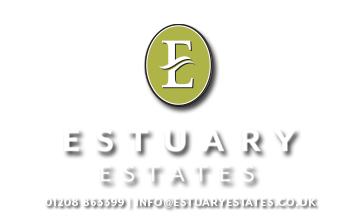 HALL, SITTING ROOM, KITCHEN/DINING ROOM, 3 BEDROOMS, BATHROOM, CLOAKROOM, REAR PORCH/UTILITY ROOM, HALL, OPEN PLAN KITCHEN/DINING AREA/SITTING ROOM, 3 BEDROOMS, 1 EN SUITE SHOWER ROOM, BATHROOM, GARAGE, GARDEN CHALET, GARDEN, PARKING. Autumn Mist has views of Polzeath Beach and is walking distance to the Polzeath amenities via a footpath. 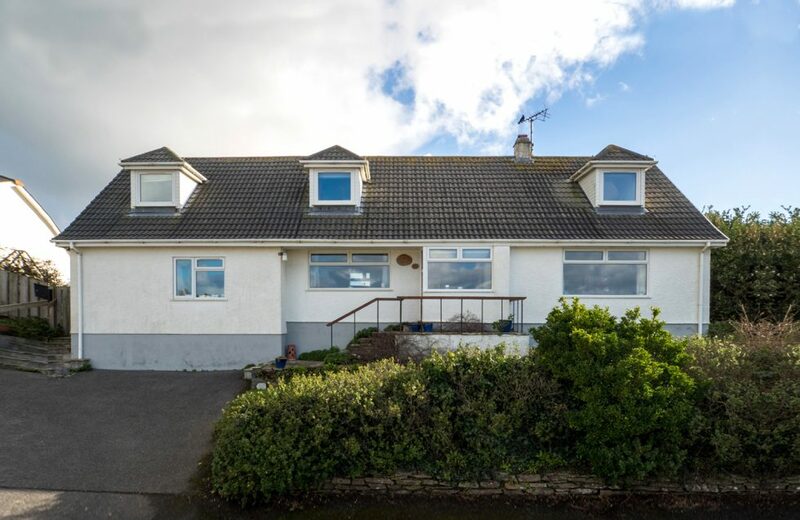 There are six bedrooms in total and a rear garden with patio and double garage currently used for storage and an office together with a garden chalet. A lovely property with great potential in a very popular holiday destination and residential community. Polzeath is a popular village with several shops including surf shops, restaurants, cafes, grocery stores and a Post Office. The beach is large and sandy, watched over by Lifeguards in the summer months, and is ideal for surfing. The coastal footpath from Polzeath leads around into the Camel Estuary, which features the beautiful beach of Daymer Bay and continues around to the watersports haven of Rock, home to the famous St Enodoc Golf Course sited on the sand dunes around the estuary. Rock has several quality shops, a very good butchers and bakery, a garage, primary school, parish church and excellent watersports on the Camel Estuary. For more extensive shopping facilities the town of Wadebridge offers all town amenities including a cinema and leisure centre and is approximately 6 miles away. The main line railway station is at Bodmin Parkway, approximately 15 miles away and Newquay Airport is approximately 20 miles. PORCH/UTILITY ROOM: Windows to rear and side. Glazed door to side leading out to rear garden. Wood effect flooring , wall light and power points. BEDROOM 2: 3.41m x 3.87m Window to front, storage heater, central light and power points. BEDROOM 3: 3.67m x 3.34m Window to rear, storage heater, central light and power points. BATHROOM: 2.87m x 2.39m Panelled bath, fully tiled corner shower enclosure with electric shower, pedestal wash hand basin and low level WC. Walls part tiled, vinyl flooring, heated towel rail and central light. LANDING: Two storage cupboards, smoke alarm and central light. BEDROOM 1: 4.72m x 3.54m and Window to front and side. Radiator, central light and power points. EN SUITE: Obscure glass window to side. Fully tiled shower enclosure with power shower, pedestal wash hand basin with tiled splash back and WC. Tiled floor, extractor fan, heated towel rail and recess spotlights. BEDROOM 6: 2.65m x 3.23m Window to side, wood flooring, radiator, recess spotlights and power points. BATHROOM: Obscure window to rear, curved hydro bath with curved glass screen and overhead shower, pedestal wash hand basin and WC. Walls part tiled, tiled floor, heated towel rail, extractor fan and recess spotlights. GARAGE: Garage to rear of property with electricity and water. Built in home office, which has been fully boarded and insulated. REAR: Path to side of property continuing around to fully enclosed rear garden. Small raised lawn area to side. Decked area with seating area to front of garage. Further raised patio area and lawned area. Chalet. FRONT: Tarmac driveway providing parking to front. Raised lawned area. SERVICES: Mains electricity and water. Private drainage. LPG Gas. Photographs: Please note all photographs are taken with a wide angle lens.